Check out the Minimum and Recommended System requirements to run the Street Fighter 5 on PC. The minimum and recommended requirements for PC version of Street Fighter 5 disclosed in a post on the official Capcom blog, revealing that players need a reasonable machine to run the game. The game is scheduled release in 2016 for the PlayStation 4 and PC. The requirements are not so heavy in relation to the PC, allowing up to an Intel Core i3 run the game, but demands a lot of memory, at least 6 GB of DDR3 RAM. However, for an optimized experience of Street Fighter 5," according to Capcom, it takes a little more power. 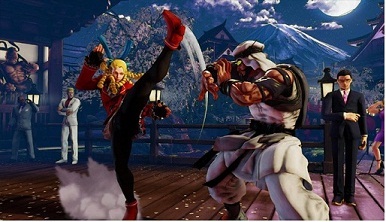 The PC version of Street Fighter 5 will have cross-platform multiplayer with the PlayStation 4, so if your computer does not meet the minimum requirement, you may be at a disadvantage in combat. Capcom will mark a second beta phase soon, in which it will be possible to compete in fights between users of the PlayStation 4 and PC.